Mangaluru, Jan 20, 2018 : Minister for Food and Civil Supplies U T Khader said that well-known litterateur Sara Aboobacker and cine star Vinaya Prasad have been selected for the Veera Rani Abbakka Prashasthi. The award will be conferred during the valedictory of Abbakka Utsava, at Kolya, in Someshwar on February 4. The award carries a cash prize of Rs 30,000 and a citation. The two-day Abbakka Utsava will be organised jointly by the Department of Kannada and Culture, Dakshina Kannada district administration and Veera Rani Abbakka Utsava committee. It will be held on February 3 and 4. The state government has released Rs 50 lakh for the Abbakka Utsava celebrations. Khader also said that the Veera Rani Abbakka Samskrithika Utsava will be held at Maharani College ground in Mysuru on February 10 and 11. The Utsava will have seminars and achievers in various fields will be felicitated. Two plays on Rani Abbakka will be staged on the occasion. A sum of Rs 8 lakh will be utilised for the Veera Rani Abbakka Samskrithika Utsava. "There are over 15,000 people from the coastal belt residing in Mysuru. There is a need to create awareness on Rani Abbakka across the state. Had she not fought against the Portuguese, the history of the coastal region would have been different," he said. The minister said that Veera Rani Abbakka Samskrithika Utsava will be held at Delhi in association with Kannada Sangha either in the last week of February or in the first week of March. A sum of Rs 12 lakh will be utilised for the purpose. Sara Aboobacker is a well-known writer in Kannada. She has 10 novels, 8 collections of stories, and seven translated works to her credit. 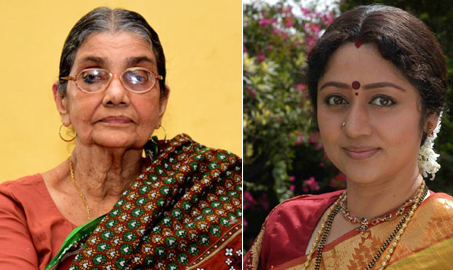 Her first work "Chandragiriya Theeradalli" had won Karnataka Sahithya Academy Award in 1984. Vinaya Prasad, a cine star has acted in over 250 movies in Kannada, Malayalam, Tulu and Telugu. Some of the movies are "Ganeshana Maduve," "Gauri Ganesha," "Karulina Koogu," "Yarigu Helbedi," "Aptha Rakshaka," "Neenu Nakkare Haalu Sakkare" and so on.